Skunk2 has been making and selling camber kits since 1995. 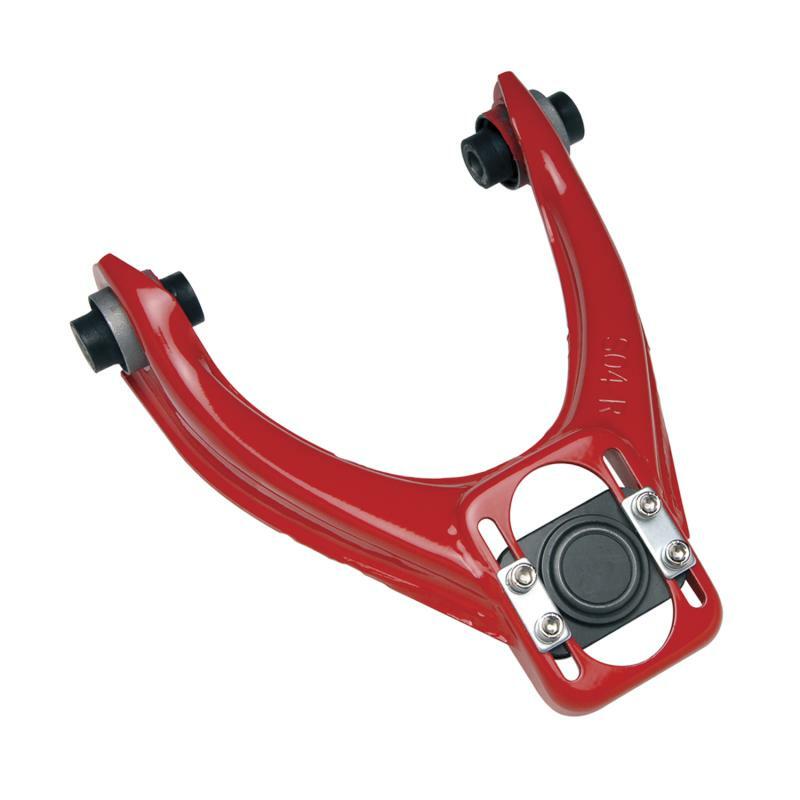 To accommodate the needs of the market, a significant change was made in 1998 by adding an oversized rectangular shaped top mount for increased positive camber adjustment. In 2000 we pioneered the use of a one-piece forged ball joint. And in 2004 the [patent pending] Pro-Series ball joint was introduced. Today this same design has become the industry reference standard. The Skunk2 Camber Kits are the number one choice of many pro racing teams and have been on Honda Factory road race cars since 1997. 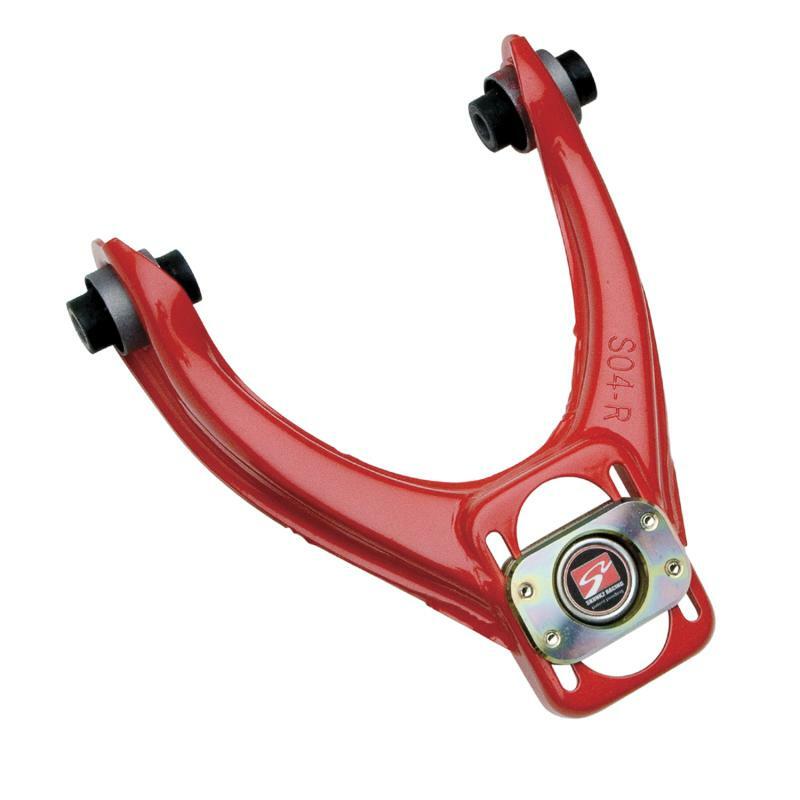 By replacing your factory upper control arms with Skunk2 camber kits, you gain the ability to correct negative camber that results from lowering your vehicle. Skunk2 front camber kits allow tuners to accurately dial in their suspension settings utilizing quick adjustment sliding ball joints. With over +/- 3 degrees of adjustment our camber kits can minimize the effects of negative camber, help reduce abnormal tire wear, and increase stability at high speeds. Skunk2 camber kits are ideal for race or street applications. Available in Pro-Series Plus, Pro-Series, and Tuner Series. This is Skunk2’s flagship camber kit for enthusiasts that are serious about performance. Each camber kit comes with Skunk2’s one-piece forged [patent pending] Pro-Series balljoint. The Pro-Series balljoint features a low profile top plate for additional clearance and higher clamping loads for no-slip performance; and can quickly be adjusted from the bottom-up. The Pro-Plus camber kit also includes 3-piece low-deflection polyurethane bushings that dramatically improve handling response, feel, and performance. This is recommended as a good entry-level camber kit. The Pro-Series camber kit features the same one-piece forged Pro-Series balljoint used in the Pro-Plus kit, but instead of polyurethane bushings, the Pro uses standard high quality rubber bushings. Though the Pro kit is slightly more expensive than the Tuner series, the benefits and convenience offered by the Pro-Series ball joint provide excellent value. For the budget minded enthusiast there’s the Tuner Series; which is the same classic design that Skunk2 has been offering to enthusiasts for over a decade. 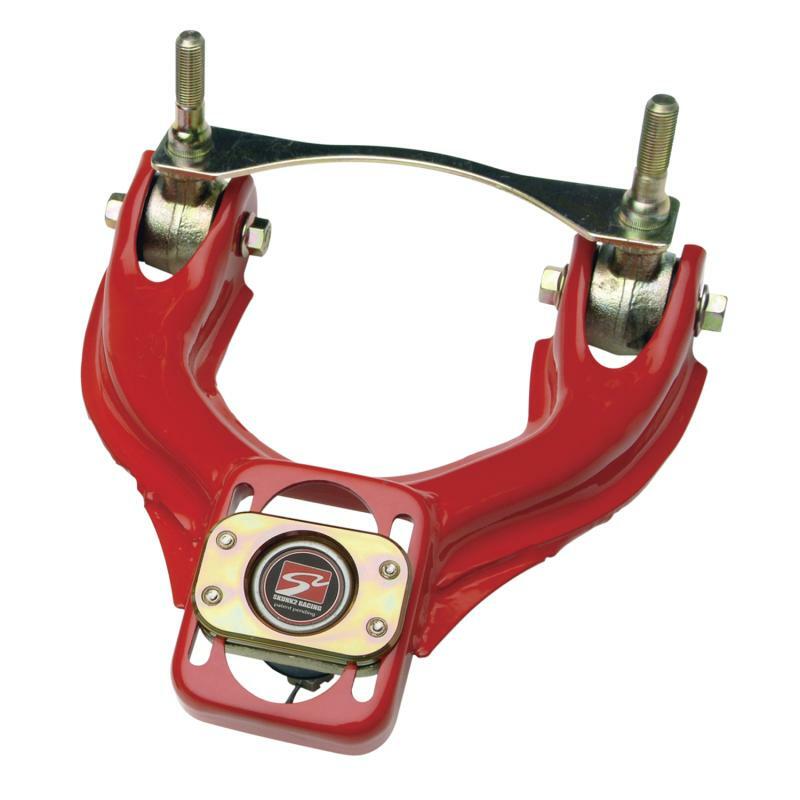 Each arm includes standard one-piece forged ball joint, and uses standard rubber bushings. The Tuner series also includes [patent pending] “square” washer plate for improved clamping performance and durability. Not only does the Tuner Series offer more features and superior quality over “clone” camber kits, it is also competitively priced. Skunk2’s replacement Pro Series Plus Front Camber Kit Mounting Anchors are now available separately. Recondition older Pro Series Plus Front Camber Kits to like-new condition or easily convert any Tuner Series or Pro Series Front Camber Kit to Pro Series Plus. Pro Series Plus Front Camber Kit Mounting Anchors are compatible with Skunk2’s ‘92-’95 Civic and ‘94-’01 Integra Tuner Series, Pro Series, and Pro Series Plus Front Camber Kits. Each kit includes Skunk2’s redesigned, low-deflection, polyurethane bushings for ultimate control and performance. Genuine Skunk2 polyurethane bushings act as bearings for quicker response and a more positive feel when compared to other manufacturers’ bushings. Tearing and unseating problems normally associated with other fixed rubber bushings are eliminated by allowing the arm to rotate freely about the bushings. Special, radius-cut backsides also promote bushing longevity and help avoid tearing and unseating.